This is a video that shows the process of how to convert a van in to a luxury off-grid camper in less than three weeks! This gives a day-by-day account of how this van was converted. Happy converting - I hope this is useful! Living in the RV while traveling the country we stay with our YouTube viewers a lot. Can I just say we have some brilliant viewers? This couple has turned this van into the ultimate road tripping or bug out vehicles by being innovative and doing all the modifications themselves. Amazing! While visiting the Allaire State Park Campground I stumbled upon this cool part amphibious camper van RV motor home conversion built on the Volkswagen chassis. It is manufactured by Woelcke and the model is the Autark T5 Crosser Off Road. I hope to see these here in the States soon. This year the Overland Expo in Arizona was extra special because I brought along my whole family to go camping as well as attend the expo. It was such a blast to spend that kind of quality time with my wife and kids unplugged from the matrix so to speak lol. As for the expo, it was again a great show. I love seeing all the expedition vehicles that I can't afford at this time and also all the other vehicles and gear. It was ridiculously windy this year which made my wife push me to eventually drop nylon tents for camping and gave me the thumbs up to invest in a hard side camper of some type for the next camping trip. But to be fair the Napier SUV tent held strong in the wind storm and not a single tent peg came undone and no parts failed. Its a fantastic tent. Stay tuned for a few individual booth videos following this sneak peek video. A bit of footage from our holiday trip from Denmark through Germany, Poland, Lithaunia, Latvia, Russia, Finland and Sweden. 24 mpg on the 190hp VW camper... not shabby... but $120,000 pretty far from my price range. And I imagine that it would be pretty impossible to "register" it in the US. 2 weeks later we returned the van to Hertz... and the agent said "over 5,000 miles, really?" - "Yes." - "Well, it's due for an oil change." $750 well spent... No motels, no "wasted time", no "driving while falling asleep" or with "blurry eyes". And no worries about "breaking down and waiting for repairs" with such a new vehicle- and a rental company that would replace it instantly if there was a problem. Down south, even took advantage of the chain of "New Dentures in a Day" (mine were 20 years old & superglued several times after falling in a sink and snapping in the middle) - very satisfied with the quality (great "fit", and no 2 teeth look "identical" - like "piano keys") & price (a grand for the "top-of-the-line" set). All the improvement that was missing was a porta-potty and perhaps a sink - and curtains - for my use during that trip. No need for tables & chairs & cabinets & stove. A couple cardboard boxes did fine. And I became a fan of the Waffle House's $10 T-Bone dinner, and IHOP's breakfast combo. lightweight and towable with an SUV. Comfortably seats five and one versatile trailer that’s ready for anything this wide world has to offer. This is a quick walk through video of our BRAND NEW LUXE LF-42MD! This floor plan has the option of a mid den, office, or bunk house for your kids! Thanks for watching! Please give us a call at 844-830-8349 for more information or visit our website www.augusta-rv.com! Follow us on Twitter and Instagram @RVAugusta and like our Facebook page! Because of our commitment to continuous product improvement, Augusta RV reserves the right to change components, standards, options, specifications, pricing and materials without notice and at any time. Photos may show optional equipment which may not be included in the standard purchase price of the featured unit. Be sure to review current product details with Augusta RV before purchasing. Our Newer, More Awesome RV Tour – The Tour de Lance! Take a spin through our Class B Motorhome, Lance. He's a Winnebago Travato, but he's a one of a kind Travato. He's the only yellow one, for starters. And many of his systems have been modified by either Winnebago or by us to make him a generator-free, winter ready, electric machine. And no. We're not giving away where that camp site is. In Europe they've come up with some nice "compact" campers on small platforms. But base sticker is still around $50 grand. 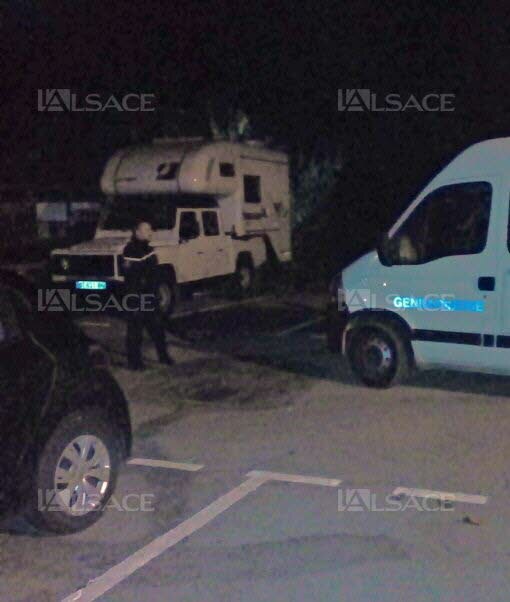 "Campérêve" (DreamCamper) - in France - specializes in such vehicles. Drive & park like a "normal" vehicle - but would most likely be quite a hassle to "register & license" in the US. Anything comparable on the US Marketplace? When I first met Lauren I immediately told her how envious I was about her tiny home living situation. The main reason... because she is doing this right out of high school! I would have killed to have an experience like this at such a young age. Think about how better the world would be if young people had the opportunity to do something like this! A one take, full walk through video of the new 2017 Airstream Flying Cloud 20C Bambi Travel Trailer for sale at Colonial Airstream. In my early 60's... spending more than half my time in Europe (family - kid - grandkid)... contemplating living between both continents (in RVs) - (more family in US - kid & 3 more grandkids) - so 2 RVs (one on each continent... since hassles of registration & shipping) - mini RVs in mind... and no more "house". Heck, even the cops aren't allowed to use their guns! PS - Perps are almost ALWAYS the same "poor oppressed minorities" - in Europe, Arab Muslims & Gypsies, in the US Blacks & Latinos... whose only incomes are from Government Handouts & Crime. PPS - FYI - My wife of over 35 years is (Black) Latina - and grew up dirt poor - but never went "that way", but always "did the right thing", studied hard, learned 5 languages, worked hard, and my best friend & companion. And I have several good honest Arab Muslim friends (co-workers in construction), and a great many good honest Latino friends. But the Political Process of "over-importing" is preventing any "assimilation" into the "host countries"... but only encouraging "community ghettos" instead of the "melting pot". Hunting equipment | Off-road trailers compilation for 4x4 cars. 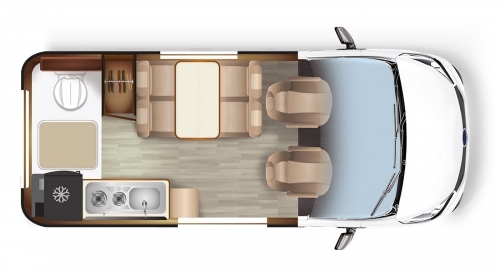 An introduction to the interior of the all new 2017 Airstream International Serenity 27FB. Also, Jeff gives us his take on new RVs and new RV bugs. On this, our last show of the year we look back on 2016 and some of the stories we have covered, and a couple of feature stories including the Jayco Jay Flite, Hybrid, and a visit to KZ RV. How does a retired man live in a Van. Tom retired from work as a casino tech and lives in his high top Ford. If you know someone who could benefit from this video, please SHARE it with a friend! Thanks for supporting this site by using this link to Amazon. cost you anything, even if you buy something unrelated. A few posts above I showed my druthers. "Stealth" camper. Easy driver. Put on the miles without going broke. I'm steamed that the small diesel engines standard in Europe on US vans (ford transit gets a manual 6 speed, 2.2? Engine with 130hp getting 25-30 mpg) just don't seem available (or legal?) in US. Why do they only offer 3.7 gas automatic getting 14 mpg? Pain in the wallet. Same with the Chrysler Promaster (Fiat Ducato). And pricing on both higher than Europe (even though they have 20-30 percent sales tax!!!) new Camper vans based on those models (Winnebago) are almost twice the price in the States! I'm a fan of the C class rv .. but I'm not sold on the push out walls common today. While it does add copious amounts of room when open, they tend to be very badly set up for quick use with the sides closed. Sure you're not supposed to be cooking a roast beef supper while zipping down the interstate ... but at least make it reasonable to make a couple of sandwiches, hit the head, or pull a soda outta the fridge. If I pull into a truck stop and want to catch some Zzzzz, I don't want to have to spend half an hour setting up just to have someone bang on a window shouting that it's not a freaking campsite. That said ... those older RVs have absolutely terrible fuel mileage. Still better than a boat tho. Bus Conversion Magazine : Nov. 2009 front cover and feature article. After many requests... Here's a walk through of our bus conversion, we are living in it full time, it's not quite complete yet but thought we'd show you anyway! Enjoy! 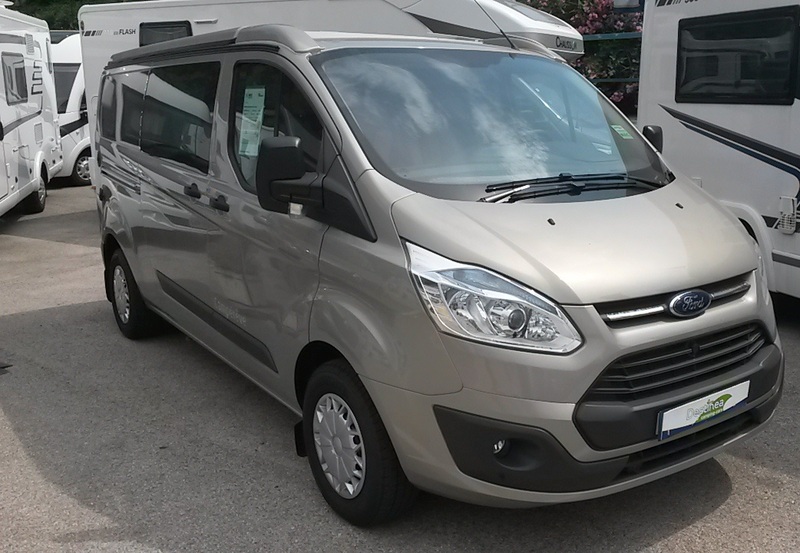 The new 2017 Winnebago Era 170M - Our Complete Review! The Winnebago Era 170M is a new Class B RV from Winnebago built on the Mercedes Benz Sprinter chassis. As I write this, it's the only Class B motorhome with a slide that we're aware of. This model replaces the 170C, and offers a drop-down Murphy bed, an expansive wardrobe, and a fantastic bathroom all inside the walls of the Sprinter. We put the slide in, put the slide out, go in, over, and under this RV in this detailed review. Hope you enjoy it! The trailer features a unique teardrop shape and is solar powered, off-grid, and made from sustainable materials. It's a beautiful eco-friendly space with room for up to four people! The home's interior features a kitchen, living room, and bathroom. The space can transform into a bedroom with room for a queen-sized bed and twin bunk beds. A vintage Airstream trailer with a fresh, modern design. Inside the home is a bedroom, a small washroom, kitchen, and plenty of sofa space to relax on. There's two beds, and enough room to four people. On this week's program, Jeff Johnston visits Austin, Texas the first of our 2017 RV destinations. Jeff shows us places to visit, things to do, where to eat and checks out a few of the areas RV parks and campgrounds. On this week's program Bob Zagami visits with Robbie MaClure of Livin-Lite and learns all about the companies line of all aluminum trailers. Then Jeff Johnston, takes us to he Vintages RV Resort in Dayton, Oregon where you can spend a night or week staying in a vintage RV. Also, we visit KR-RV the new owners of Livin-Lite trailers. Visit our show page at http://rollinontv.com/ for the latest. On this week’s show we find ourselves in Tucson, Arizona where the Rollin’ On TV Crew and Truma team meet up with Bruce Smith, the winner of our AquaGo contest. Jeff Johnston caught up with Bruce and Billy DiDonato from Truma at the La Mesa RV Center where the AquaGo installation is being done. When everyone arrived, Bruce’s Grand Design Reflection 5 th wheel was already in the service bay and ready for the work to begin. Bruce said he has been RVing for about 2-½ years now and has owned the Reflection for just about a year. Needless to say, he is familiar with how regular RV hot water systems work and can’t wait to use the AquaGo with its Instant, Continuous and Endless hot water. Scott Thwaits, La Mesa Service Technician and Billy DiDonato from Truma performed the installation in no time at all. Now, Bruce can’t wait to get out on his next RV trip in a couple of days and, try out the AquaGo… We’re sure he will be delighted. Also on this week’s show, we revisit the Jayco factory and tour the assembly line to see what goes into building their popular Alante’ class A motorhome. Then we join Jeff Johnston as he takes out the Alante’ for a few days and does one of his ‘real life’ reviews. Later, we find out that the old saying, ‘you can’t have your salad and desert together’, or something like that, isn’t true any more. ,Evanne Schmarder proves that saying wrong, with her delicious Apple Pie Salad. Watch the show and check it out for yourself… this is one crazy but delicious dessert. In France, here's what they managed to put together on a Ford with a 2 liter diesel engine (30+mpg). Seats & sleeps 4. Separate shower & john. 19 feet long. Under $50k. Why the heck don't the manufacturers in the US offer the smaller diesel stick-shift motors? Like the Ford 2 & 2.2 liter, or the Fiat 2.3 (for the Dodge Promaster)? Instead of the oversized motors available in the US (from 3,5 liters to over 6 liters)? With road speeds limited at maximum 70mph, there's no logic... Forcing us to have vans getting only 15mpg... at best. Considering the LONG distances to cover in the US, it makes no sense! And the sticker prices... Remember that the French price INCLUDES at least 20% tax! On this week's program Jeff checks out a 'brand-new' vintage trailer. These ground up built Tom Thumb trailers are as close to original as possible, right to the propane lights. Also Jeff shows us the Winegard Carry-Out satellite antenna. And Evanne, whips up her avocado based, chocolate pudding. When Canada’s top-ranked whitewater kayaker Ben Hayward (vanstarter.com) decided to pursue his Olympic dream, he began a life on the road racing in Europe. To afford this itinerant lifestyle, he crafted a 72-square-foot wooden home on the back of a flatbed truck, dubbing it the “Hobbit Van” for it’s big, round door and butterfly-style windows. Hayward, and a friend from Wales, worked “7 straight days to source, insure, design, and construct every component for a homemade demountable camper”. His new home cost him 9,500 Canadian dollars (about $7,300 U.S.): $2000 for the truck, $1500 for the wood and $6000 dollars for the appliances, solar panels and wind turbine. With only a small nest egg, Hayward raised most of the funds through crowdfunding on his site vanstarter.com (he continues to solicit donations to cover living expenses). The tiny space was an easy fit for Hayward. “I live out of a suitcase so much of the year so I’ve been kind of doing this for a long time. For many years prior to this I was really trying to figure out what are the bare essentials that I need while I’m over in Europe for a month or two months at a time. I was like well I’ve got my bare essentials suitcase, it was really an additive process rather than a subtractive process.” Now when Hayward is back home in Canada he says he misses his house on wheels. With spring virtually around the corner, so to speak, many of you are thinking about when to take that precious vacation time this year. It’s also time to think about what kind of vacation to take. Well, I have a suggestion for you to consider. How about enjoying an RV vacation? And no… you don’t have to own one to enjoy the experience. Whether it’s just you and your significant other, or both of you and the kids, everyone will enjoy this open-road, outdoor adventure. As I mentioned, you don’t have to own your own RV as there are numerous, reputable RV rentals companies all across the country and they will be glad to work with you on deciding which RV would be perfect for your vacation. To give you an idea of what’s involved with renting an RV, we paid a visit to Fuller RV Rental, located not far from us in Massachusetts, and met with Sherri Fuller, co-owner of the company. We learned all about renting an RV including selecting the right RV and what’s included in an RV rental package. We also learned the one thing that scares many people thinking about renting an RV is that it might be too difficult. Actually, it is relatively easy it is to learn how to drive and handle an RV and operate the various systems. Join us as Sherri covers all these questions and more on this week’s story about, 'Renting an RV'. Also on this week’s program, Jeff Johnston stops by the Carefree Of Colorado exhibit at the Recreational Vehicle Industry Trade show in Louisville, Kentucky. He finds out about one of the company's long running RV awnings and what new changes and upgrades the company has made. Just so you know, Carefree Of Colorado is celebrating 45-years of RV awning innovation and we are happy to say, they are also the Title Sponsor of our show. We recently visited their facility in Broomfield, Colorado and were taken aback to see the technology and workmanship that goes into building each one of their awnings. Now I can see why they are the leader in RV awnings. One other story on this week’s show is one we brought you a couple of years ago. We still get emails from viewers who see the segment on YouTube about the ‘Fire-Stick”. As we have mentioned before, this has to be the best tool ever designed to help build and maintain a campfire, and do it safely. You won’t find these in a big-box- store. The Fire-Stick is made by a small company in Endeavor, Wisconsin and they sell mainly direct to consumer. Jim Hutchinson is the man behind this great tool. You can reach him at 608 617 3437. Tell him you saw it on Rollin’ On TV. Taking wifey to an RV outlet tomorrow near Paris to check out the offers on low-end "stealth" campers... & see if I raise any enthusiasm on her part. Want a "stealth van" without "outside camping-car signs" (i.e. decals, bike racks etc.)... 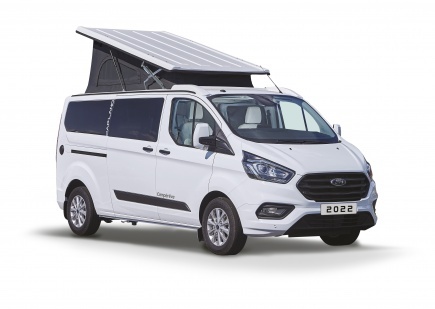 looking like a "work utility van"... that drives like a car (lots of mountains in Europe, and narrow roads)... and doesn't guzzle at the pump. Just need room for 2, and an independent heating / cooling system... and toilet & shower... Of course they all come with a sink & stovetop, which are not high on my list (know how to make sandwiches), though a fridge is. Entry price is around 40k new. Lots of choice in the $50k range. Will have to see if they include what I want. Might take some pictures & post them. Yeah well my understanding is EU regs focused on MPG whereas US regs focused on emissions/air quality. That's why those engines aren't available in the US. Just look at VW as the poster child of US diesel sellers...probably going to be fewer diesel options going forward unless US regs change. Heck, I'm not talking about the crappy performance of old VW campers - these are modern creature comfort vehicles with all the goodies, and keep up FINE with traffic. No problem cruising @ 90mph (once you get there).